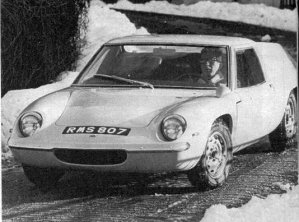 José Rosinski, a French racing driver, test drives a S2 Europa early in 1969. 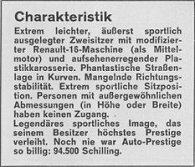 His comment in Sportauto 2/69, where the picture is taken from: "No other car at any price has this single seater appeal. You can drive it with absolute precision and undisturbed rhythm, on the line, with ease beyond comparison - a dream". 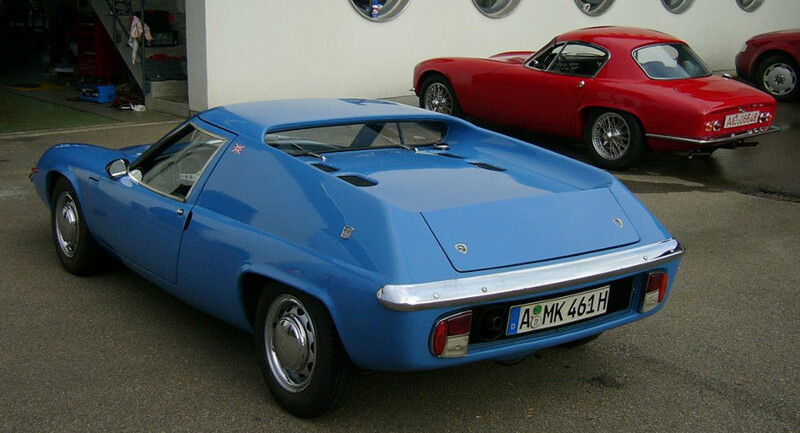 The Europa is ChampmanŽs replacement for the Seven and his answer to the sensation that the Ford GT 40 rose at her release. 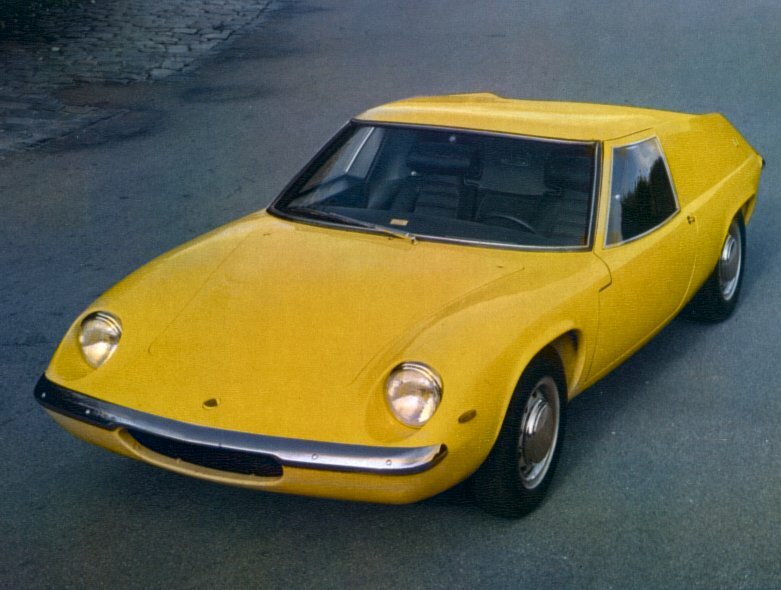 He also wanted to show Ford after their Lola deal how Group 4 sportscars had to be designed and used as a marketing device. 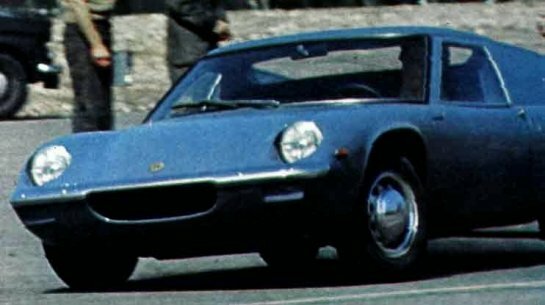 So he had the 46 developed as one of a series of 4 cars with the same design philosophy: Lotus 30, 46, 47, plus a fancied road supercar on the basis of the 30. 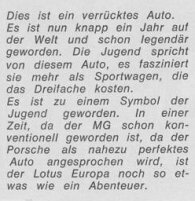 The compromises that had to be made led to the result that the whole bunch was no success and let Len Terry leave Lotus in the process, but that is another story. 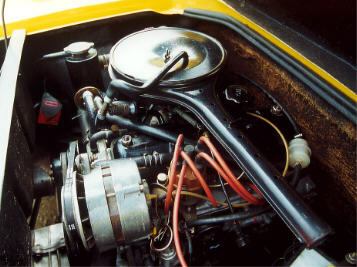 The 46 had to become the road version of the workmanŽs GT 40, the Lotus 47. 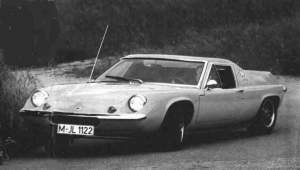 She also was a homologation model for a GT car. 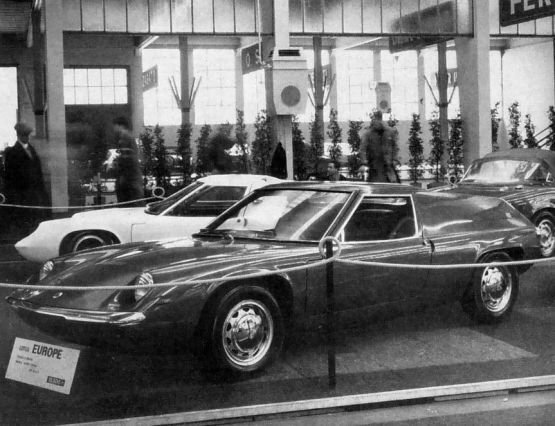 To acheive this 300 cars had to be built. 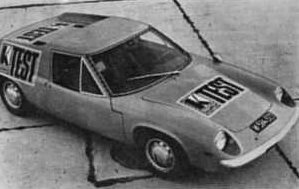 When the production had ended, Porsche had pushed the minimal production figure to 500. So a slightly modified series had to be set up from the spare parts: The S1A. 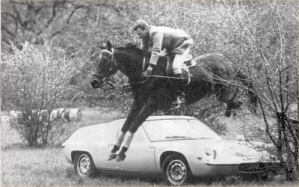 This is one of the reasons why the S1 is so impractical. Every dealer outside the U.K. had to take a pair, sell it or not. 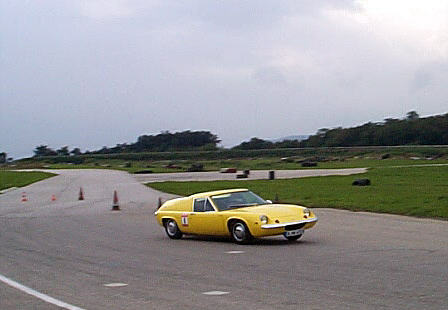 In a way Chapman had been much braver than Ford, who stopped the production of their roadgoing GT 40 version with only 13 cars made after simmilarly desastrous press reactions. 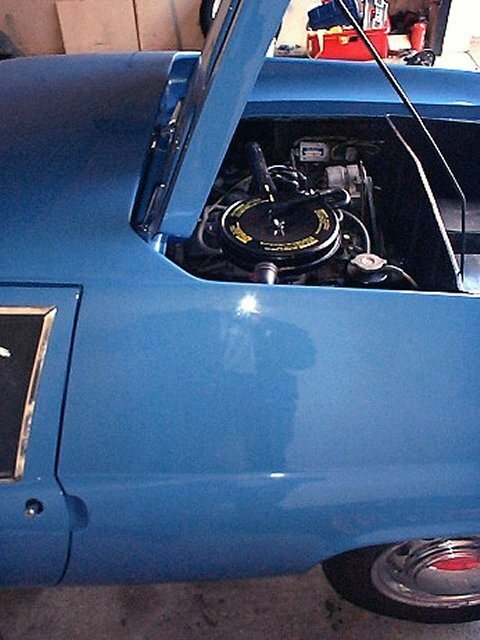 This makes the 46 to be the last road car with a genuine race car as a direct modification and vice versa. Thank you, Mr. A.C.B.C.! 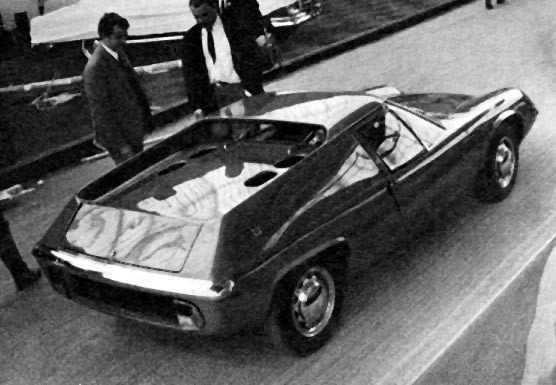 S1 test 1967 in CAR Magazine (the guys with the light bulb feel, you know). Got it from the line pretty quickly. 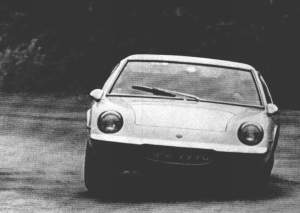 He declares that cornering is sheer joy, with laptimes at Zolder racetrack equal to a Porsche 911 with exactly double power output. 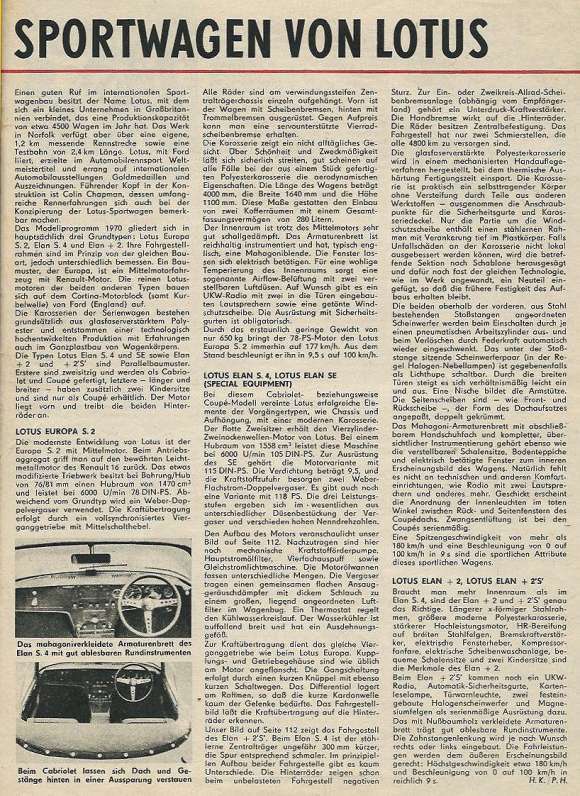 1970 German Democratic Republic "DDR"
A remarkably extended and knowledgeable article from the "Paradies der Werktätigen" obviously supervised by the constructor of the Melkus RS 1000. 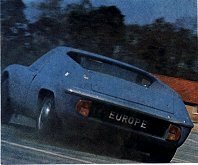 Now you see the one and only late Europa with oversteer. 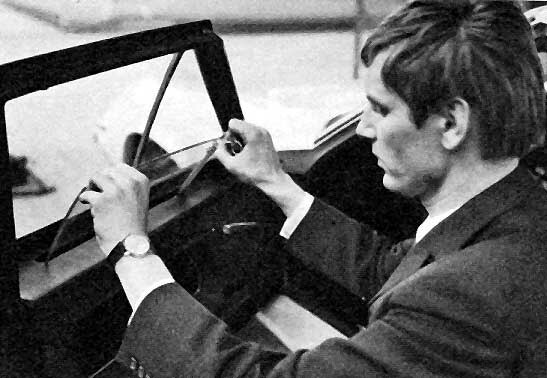 Michael Mehlin of Auto Motor und Sport in a Europa Twincam 1972. 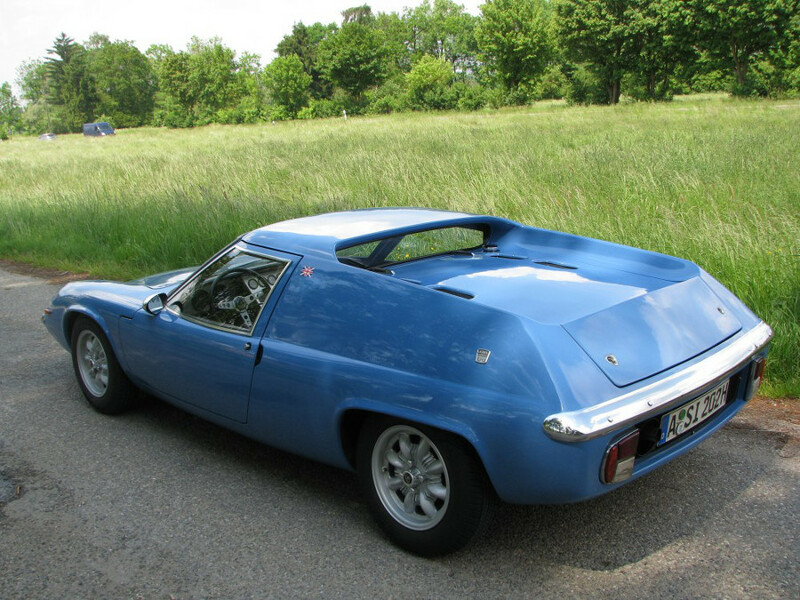 "One who reckons that this Lotus is a racing car that has been adapted for road use, may be right". 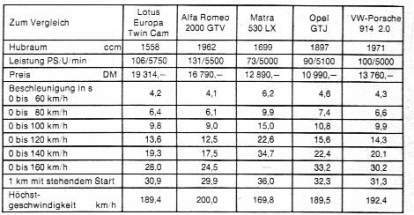 The perfomance figures of a non Graham Arnold TC with her 103 to 105 HP look almost identical to the data that an S1 had given, with the exception of the slightly higher top speed of the earlier car. An S2 is half a second slower from the mark. S1 versus S2: S1 worse in every aspect except looks, mechanic flaws needed a lot of work without major improvement, but handling and controlability sensational, if not to say better than later versions. 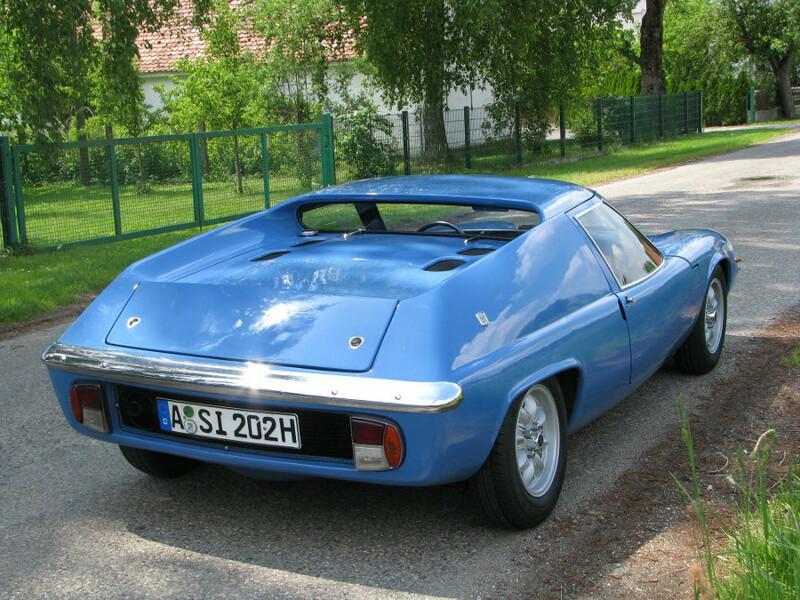 After all a Europa Special does not have many parts in common: Interior mirror, bumper, windscreen, rear screen, radiator, front uprights and brakes, radius arms, headlamp surroundings, front grille, headlining . . . anything else? Jack? 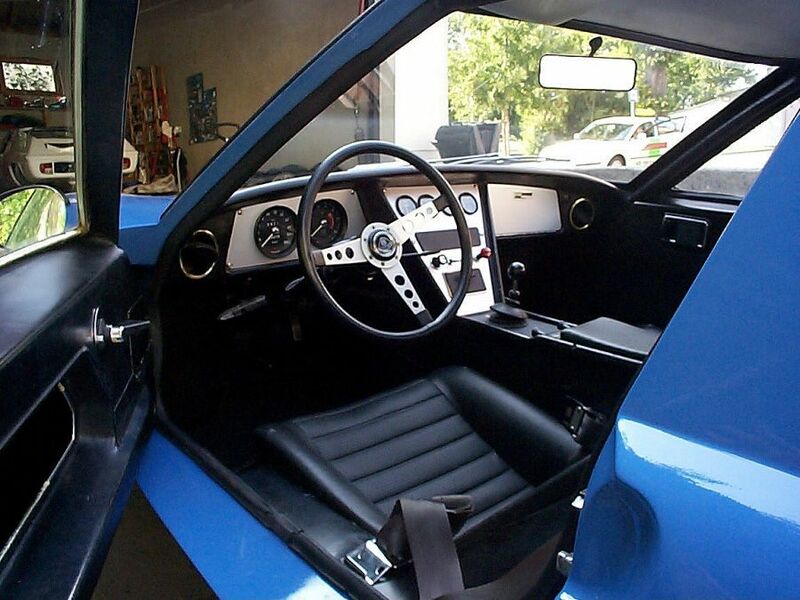 Driving position in my opinion is better in the later car, especially if you adjust the seat padding as you need it. Your driving tends to be more aggressive. Driving an early Europa is more like flying (a prewar aeroplane). 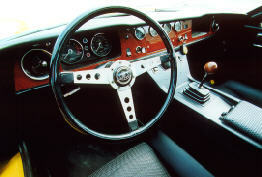 Controls of the later car are not better, because improved gearshift measures up with disimproved controls. 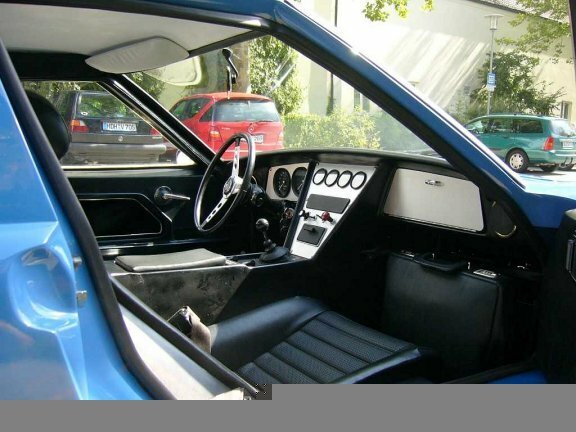 Driving the later car gives slightly more pleasure, the increase in power making all the difference (compared with an S2) The owner satisfaction is vice versa, because the small car is so beautiful. Social envy is high. 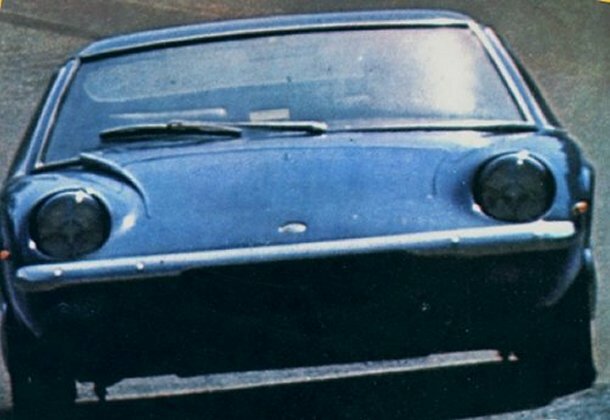 I have never seen a Porsche 911 driver smiling at me, or even facing me. The speed on roads can be very, very high, with the small car not too much behind. On the Autobahn they overtake you with their Polos and Golfs, even with the faster car. Changing lines in a split of a second completely annihilates them though, almost as much as if you sway the car arround (shortly) to warm up the tyres in one of those frequent traffic jams. An S1 is a totally different animal altogether. It feels much more like a 47 than an S2, and I know what I am talking about. 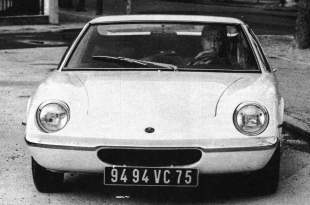 An S2 is a subject of transportation, an S1 is just good enough for a blast for, IMO, 30 minutes, not the quoted hour of "Car" Magazine. If you encouter an S1 on a trailer, donŽt blame the owner. It is just adaequate. 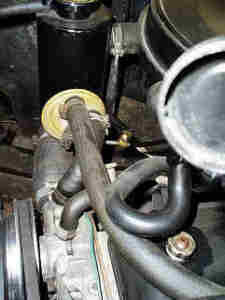 The heater of a TC cannot be switched off from the driver`s seat unless you put a suitable spring around the valve that pulls the lever back. If you take a 5mm diameter spring of an approx. length of 60 mm , the opposite end can be hooked on to the mount for desired 180 degree function. The owners of earlier Europas should not be too malicious, because they cannot turn off their heater either. The increasing vigour of the pump bends the thin metal sheet that separates inlet and outlet und allows hot water to pass into the system. The faster you go, the hotter it gets. 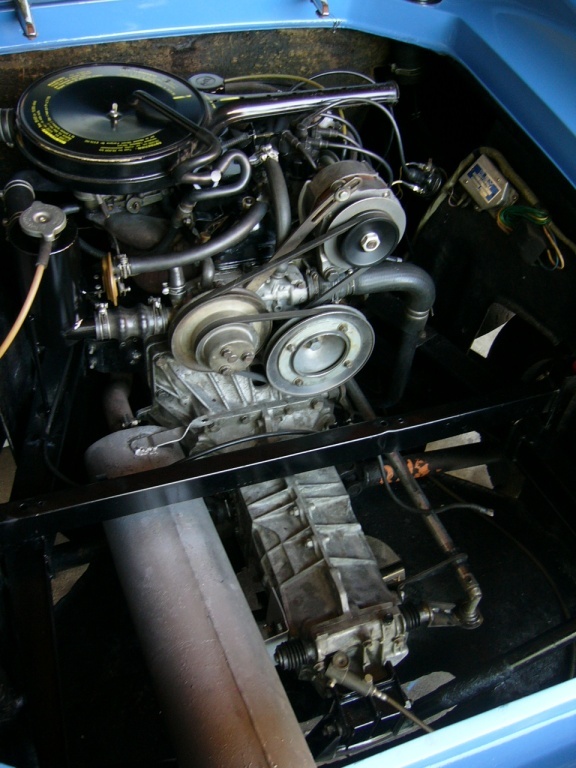 With a nice move in the best tradition of Teutonic engineering you change position of the two hoses and the problem is solved. 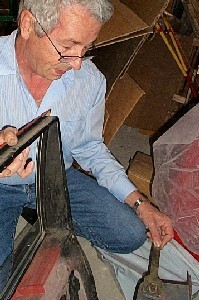 The flow now presses the valve on to the seat. The second never ending story is the adjustment of the doors. The ingenious sandpaper anti slip arrangement is useless, because the problem of unwanted shift is between bush and first washer. If you have three hands, the best way is to make an extra tool to fix the bush from inside the cabin. If you donŽt, a limited remedy is to use a mandrel to roughen the small inferior surface of the bushes and the correspondent inner rim of the washer. It provides enough friction for 5 to 10 attempts to get the position right. p.s. : The best way to handle the problem is to modify a wrench for an angle grinder to fix the head of the sleeve in the gap between body and door. 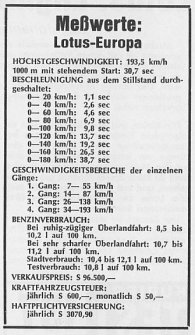 I canreport that in 1998 the S2 finished a lap round the "Kleine Kurs" of Hockenheim in 1.30 min, whereas it took me 1.31 min in the 914-6 at the same occasion. The Special I initially planned to take there dropped the starter motor. 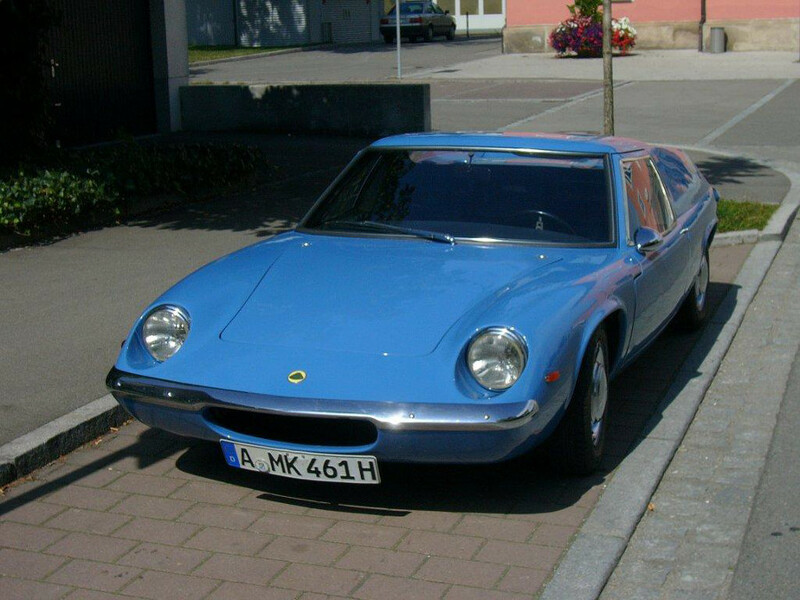 I got it started for Wheeltorque Nuerburgring Festival 1999 and could keep up with the majority of the Elises. 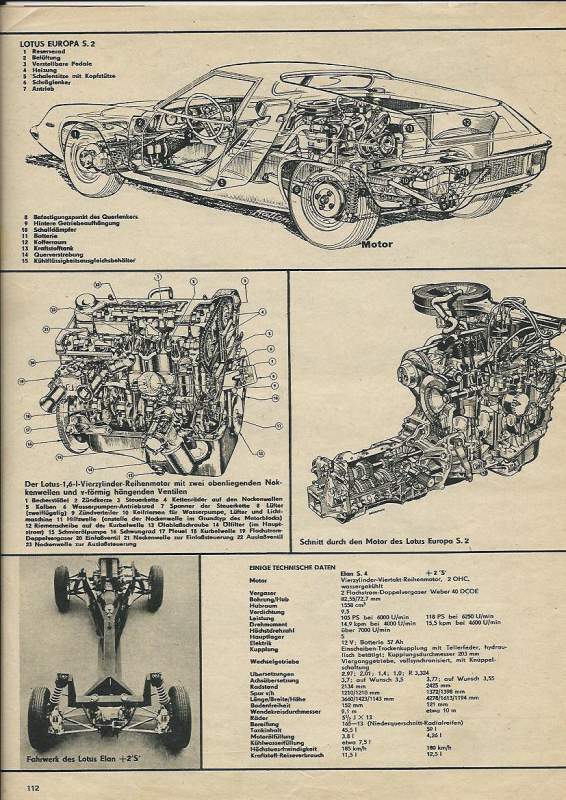 This was the occasion where I found out that the engine invariably shakes off the carburettors if they are flexibly mounted as described in the manual. The leaks are so small that you cannot detect them. That should be the major problem with the Strombergs that are absolutely convincing in any other aspect. 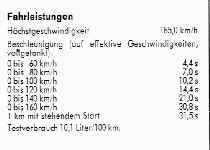 Top speed was higher than the Elise`s, down Dottinger Höhe and on the way back home (German Autobahn). In 2000 the Elises took over. 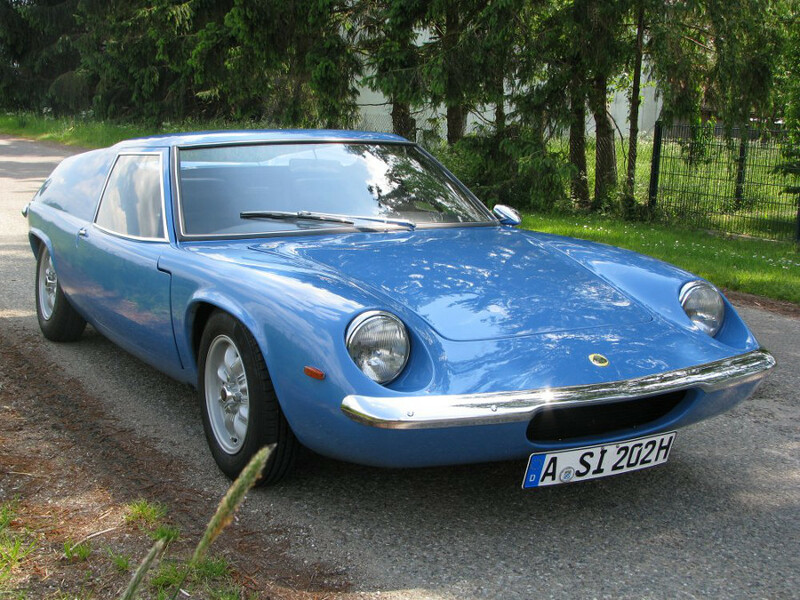 At the a springtime meeting at the Anneau du Rhin track, where classic Lotus from both France and Germany had been specially invited, 90 percent Elises showed up, close to all modified. No chance for the pre75 cars to keep in contact with them. Though the Special war running incredibly all day, I was left for standing on the straights in the first place. Unchanged Elans or Europas are now outdated, only to cruise around a track separately to warm up the spectators. 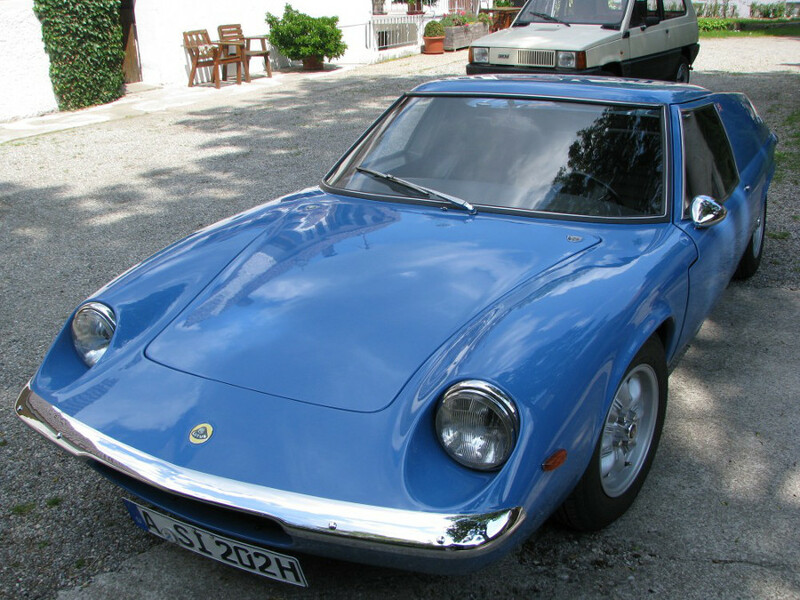 Maybe that the Elises could outrun any classic model, but it is us who have to have them. You cannot rent a track for a club meeting without their contribution. 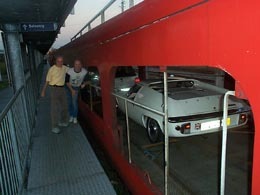 Wheeltorque Nürburgring Festival 2001 was great fun, but my S2 was the slowest car on the track. Nothing but Caterhams and latest German and Italian high tech machinery. I did make an impression though by reliability. In 2003 at ADAC Salzburgring "Sounds of Speed" the S2 won a third price in the GT class behind a Shelby Cobra 289 and a Ferrari 250 GT SWB, when a jury of six officials rated rarity, state of restoration, originality, sounds, and driving - that means - handling. I decided to give 54/2723 away for 46/0202 after that unsurpassable success. (See also "News and Events" page).